Showing 1 - 3 of 3 Products for Fender Liner. PendaForm Wheel Well Liners offer heavy duty protection that helps prevent damage from on and off-road debris, including rocks, dirt, salt, and tar as well as weather elements like snow and slush. 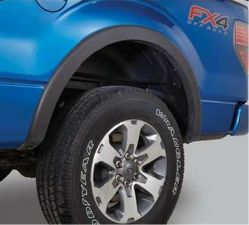 These rear wheel well liners also enhance the trucks appearance with a finished look and provide added sound dampening. Easy, no drill installation with a custom fit.